Halloween is over, Thanksgiving has come and gone. That means that the winter season is upon us, with Christmas, Hannukah, Kwanzaa, the winter solstice, and a great number of other wonderful reasons to celebrate are coming up! For the next several weeks we’re going to be featuring a number of different holiday-themed lesson plans, worksheets and activities on the Mixminder site. 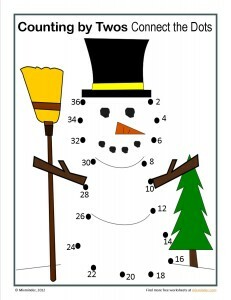 So let’s start it off with a fun connect-the-dots activity featuring a fun snowman. 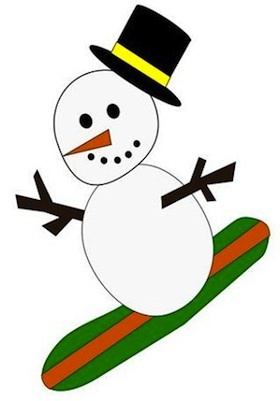 I’d like to say “have your students connect the dots to find out what the picture is”… but okay… it’s pretty obvious it’s a snowman! This connect-the-dots activity is designed to help your students practice counting by twos. The best way for your children to do this is to say the names of the numbers as they connect the dots… so, for example, “2… 4… 6… 8.” In this manner will your students start to learn and understand the concept behind counting by twos, and also start to remember the pattern of numbers starting with 2. Teach your child to count from 1 to 10 with these free lesson plans and activity sheets.